Most of digital control systems use a Supervisory Control And Data Acquisition (SCADA) with Remote Terminal Unit (RTU) for monitoring the metering devices for incoming and outgoing feeders. 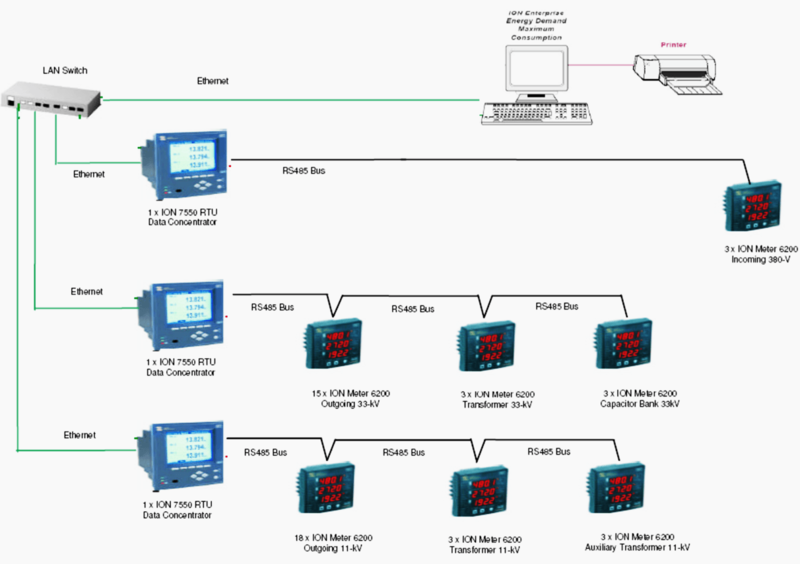 Beside SCADA and RTUs digital control systems use a Programmable Logic Control (PLC) technique for controlling and monitoring the system inside substations by professional engineers. 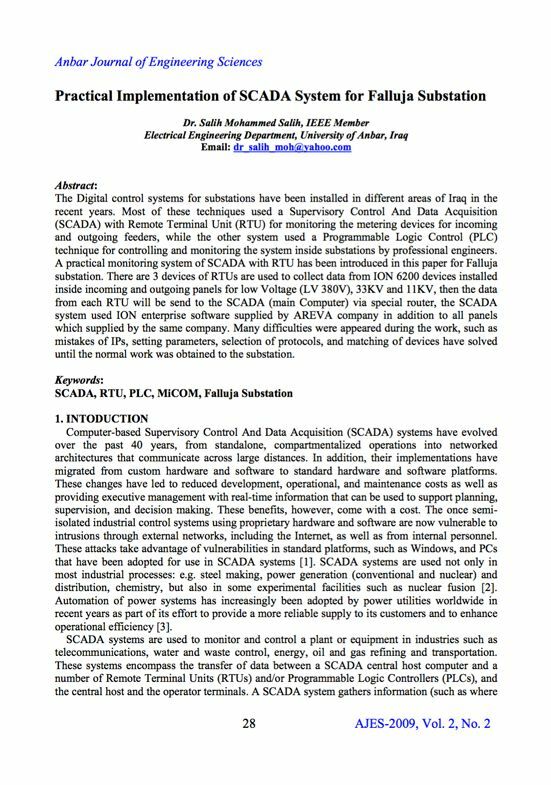 A practical monitoring system of SCADA with RTU has been introduced in this paper for Falluja substation. There are 3 devices of RTUs are used to collect data from ION 6200 devices installed inside incoming and outgoing panels for low Voltage (LV 380V), 33KV and 11KV. Then the data from each RTU will be send to the SCADA (main Computer) via special router, the SCADA system used ION enterprise software supplied by AREVA company in addition to all panels which supplied by the same company. 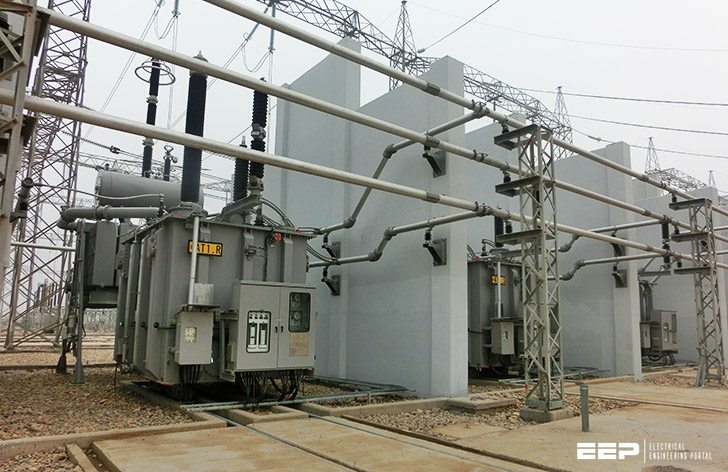 Many difficulties were appeared during the work, such as mistakes of IPs, setting parameters, selection of protocols, and matching of devices have solved until the normal work was obtained to the substation. SCADA systems are used to monitor and control a plant or equipment in industries such as telecommunications, water and waste control, energy, oil and gas refining and transportation. These systems can be relatively simple, such as one that monitors environmental conditions of a small office building, or very complex, such as a system that monitors all the activity in a nuclear power plant or the activity of a municipal water system. Traditionally, SCADA systems have made use of the Public Switched Network (PSN) for monitoring purposes. Today many systems are monitored using the infrastructure of the corporate Local Area Network (LAN)/Wide Area Network (WAN). I hope you are doing well, can you send me last update for SCADA, PLC and DCS.